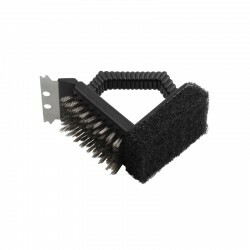 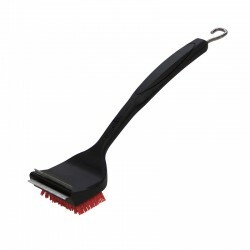 The 30 cm long, three-sided grill brush helps you to clean your grill effectively. 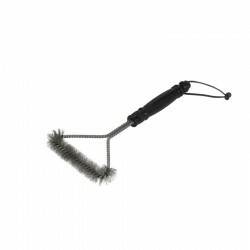 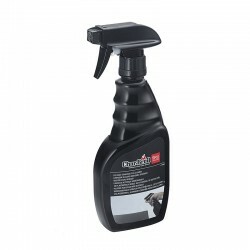 Due to the robust material the brush has a comfortable grip. 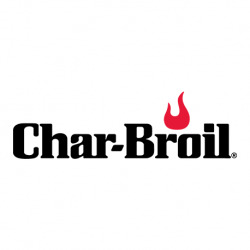 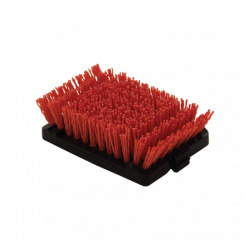 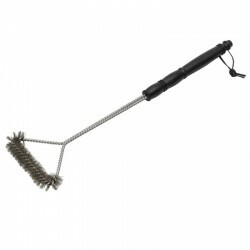 The stainless steel bristles allow an easy cleaning especially of the grate spaces. 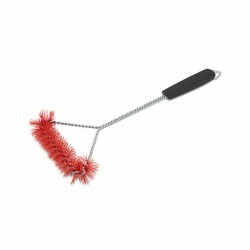 The eyelet at the end of the brush is a fast and easy way to stow the brush when it is not being used.